Decentering in Psychology is a mental adjustment that shifts behavioral focus away from the self and its opinions, saving one from becoming too egotistical and solipsistic. 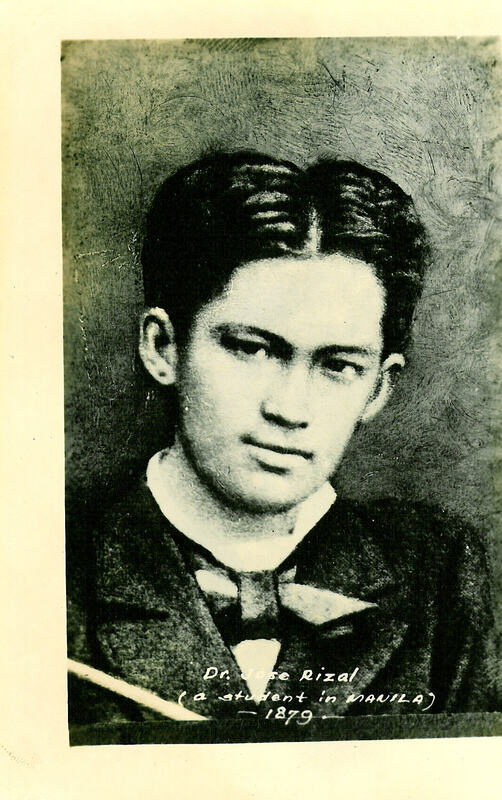 In his latest book on Jose Rizal, E. San Juan Jr. introduces decentering as a discursive strategy, shifting the focus as he revisits Noli Me Tangere and El Filibusterismo from the main plot and characters to subplots and minor characters, summing up the pernicious effects of colonization upon the Filipino people, especially the women. Part of the decentering recovers the meaning of the novels as timeless works of art in the country’s colonial past and relevance to the present in light of America’s return or re-colonizing of the Philippines, threatened by China’s redrawing of its territorial borders in the Pacific. Following San Juan’s maneuver and premise, this review summarizes a decentering of its own, taking cue from the trope of the opening sentence of Sisa’s Vengeance: “Jose Rizal as ghost or phantom in the colonial opera.” It imagines an opera Rizal would write if he were a composer, and another opera updated from its colonial setting to the postcolonial or neocolonial, as San Juan would have it. The first opera drawn from Rizal’s works is traditional, and the second inhabited by his phantom is postmodern, both performed on the scale of Götterdämmerung (The Twilight of the Gods), the theme of Wagner’s Ring cycle. Of the many thematic strands of Sisa’s Vengeance, the following equation would thread the two operas: If Rizal’s life-work is a critique of the decaying colonial order of 19th century Philippines (71), it can also be seen as a critique of the neocolonial order of the 21st century. In other words, Rizal’s novels augur not only the twilight of the Spanish Empire but also the twilight of U.S. imperialism and capitalism, the Kapitalismusdämmerung of Rizal’s Ring cycle. San Juan defines the leitmotif of the colonial opera centered on “the primal scenario of violation, the initiation into the crucible of Rizal’s life-pilgrimage.” Rizal suffered a profound trauma when he witnessed his mother being forced to walk from Calamba to Santa Cruz, a distance of 50 kilometers, on a charge that was never substantiated. (78) Rizal re-enacts his mother’s ordeal in the episode of Sisa walking to the barracks after being arrested by the guardia civiles as the “mother of thieves,” blaming her for her children’s actions. The second opera played in the Filipino psyche haunted by the phantom of Rizal would definitely not be “Puccini-esque,” as The New York Times describes Noli Me Tangere: An Opera, when it was performed at the Sylvia and Danny Kaye Playhouse at Hunter College in New York in October 2013. It would be postmodern, “utopian and carnivalesque,” conflating varied revolutions, religious, socialist, and literary, and genres, folk lore, myth and realism. A revolutionary critique of a social order is mind-forged and utopian. It can either liberate or manacle freedom, to paraphrase San Juan invoking William Blake. (92) It will feature such characters as a lover waving a handkerchief singing a farewell aria, a Medusa-like Sisa bent on revenge, and babaylans turned into brujas. The music will morph from lambent kundimans to ringing anthems and dissonant “mad arias,” underscoring love and death scenes, and most likely a bacchanalian interlude in a brothel. To shift from trope to theme, for a moment, is to see a theater larger than the operatic as San Juan stages Rizal’s evolution as a thinker addressing “the woman question” and religion. He traces the hero’s attitude on women from the viewpoint of male dominance in a patriarchal society installed by the Spanish colonization and sustained by capitalism. It starts with Rizal’s awareness of the egalitarian status of pre-Hispanic women denigrated by the “frailocracy,” and ends like Mary Wollstonecraft “vindicating the rights of women.” On religion San Juan tracks Rizal’s stance shifting from the doctrinal Catholicism of his upbringing to the deistic reach of the Enlightenment, and ending with the mystical side of Romanticism, like Wordsworth hymning “intimations of immortality.” Perhaps the act of reading Thomas à Kempis on the eve of his execution and echoing the crucified Christ was not theatrical performance but penitential after all. Finally, we see San Juan staging his own Marxist criticism rescued from its parodied “vulgar” phase, as he defines the theoretical bias of commentaries on Rizal, from the dilettantish to the flamboyant, the apologetic and the wrong-headed, all vying for canonical status. Marxism is back in mainstream economics, the talks centering on the impending global collapse of America, democracy and capitalism. This is what San Juan has been saying all along in the company of Renato Constantino and the late senator Jose Diokno in the Philippines and Noam Chomsky in America.